Love the fossil stone with this image. Cool new watermark too! 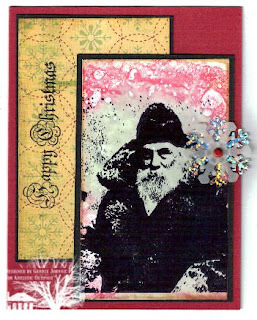 Love this image, what a great Santa,and your color choices are lovely. The "quilted" panel is a perfect choice here!